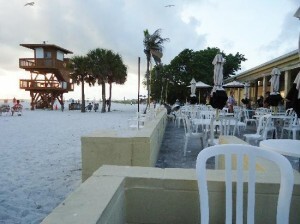 Along with many restaurants, Anna Maria Island has an assortment of bars and pubs for casual dining and live entertainment. This is a local family business with a great menu providing lunch and dinner specials from Monday-Saturday. They also put on great live music every weekend. 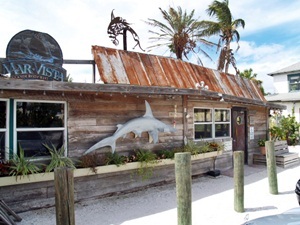 The Mar Vista Dockside Restaurant & Pub is located on the bay side of North Longboat Key in the heart of Longboat Village. You can enjoy a delicious fresh and authentic Florida seafood meal in the quaint dining room or on the deck overlooking Sarasota Bay. The Mar Vista offers waterfront dining and a unique atmosphere. Solo’s Pizza is a family restaurant and sports bar. It has a great atmosphere and boasts a big screen TV, Pool Tables, Video Games and great pizza! It’s a great place for a meal or drinks with family or friends. This is a popular outdoor café that serves breakfast, lunch and dinner. It’s also a great place to chill out and enjoy a glass of wine or a nice cold beer, whilst enjoying some live music right on the beach. For an escape out of the ordinary just steps from the beach, visit this quirky café, which was previously the old IGA. 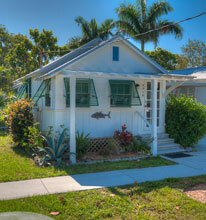 From beer, coffee, local baked goods and gourmet food to flowers, antiques, art and vintage furnishings. 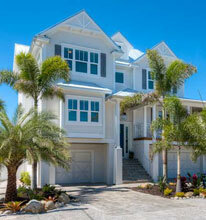 Come and explore the hidden treasures at Ginny & Jane E’s Anna Maria Café. Hurricane Hank’s is perfect if you’re looking for pub grub, or to catch a game and watch your favourite team. Try one of the favourite BBQ burgers or black cafe-on-the-beach-justbean quesadillas. It’s also family friendly, offering great kids meals with baskets of chicken fingers, fried shrimp or fish all served with French fries. It has a relaxed and colorful atmosphere, with beach memorabilia on the walls and a ‘come as you are’ dress code, even if you turn up in your bathing suits! The bars and pubs reflect the vibrant, yet laidback feel of Anna Maria Island and offer something for the whole family to enjoy. 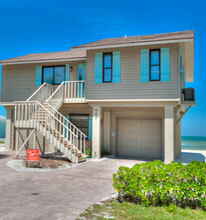 To experience everything Anna Maria Island has to offer, see our Anna Maria accommodation.